Product prices and availability are accurate as of 2019-04-14 12:04:40 BST and are subject to change. Any price and availability information displayed on http://www.amazon.co.uk/ at the time of purchase will apply to the purchase of this product. 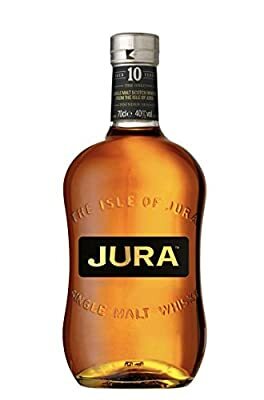 The Isle of Jura 1 year old is a very accessible, easy-drinking malt. Medium-bodied with a delicate sweet palate, with a hint of brine developing on the finish. A great introductory malt. Pair it with scallops au gratin, lemon sultana pudding, Scottish brie and white chocolate. Light and delicate with a warming honey finish. Aged in ex-Bourbon casks for 1 years. Some say it tastes of oak with hints of honey, caramel and soft liquorice, but then again everyone is different. What do you taste?